Again held at Lakota West High School in West Chester, Ohio, the third annual edition of the Journey to the Tourney saw wave after wave of talented teams parade forth over the weekend of November 23-25 (19 pre-set games). Presented by Ohio Girls Basketball Report (OGBR), about 30 colleges (mostly Midwest NCAA Division 1 schools) and 50 coaches (as numerous schools sent two) attended one or more days of the event. As usual, this event came off with military precision. While there are numerous other well run events across the nation, none surpass the combination of talent presented, format, attention to all details and hospitality, the OGBR staff displays at each of its events. One detail many other quality events fall short in is providing media with college-like box scores but not this one! The top teams (mentioned below) had rosters with four or more Division 1 prospects/commitments. Winning Division 1 (biggest schools) in Ohio this year should be worthy of a national ranking and upsetting powerful Africentric in Division 3 in March will be quite the feat. Just about all teams in the 19 games played at the Journey had at least one future D1 player. In many states, the large class state title (usually strongest) is won by a team with two or three future Division 1 players (sometimes more and sometimes less depending on state and year). One thing to watch regarding team strength is when the senior class in a state is strong at the top (as Ohio is this year), the top teams in the state are usually stronger than in other years when top individual talent is down for its senior class. The top teams in Ohio (most were present here) this year showed a great willingness to share the ball. For opening games (teams could only scrimmage previously), play was for the most part far better than one would expect at the start of the season. One point these Ohio refs made clear was DO NOT REACH IN FOR THE BALL! Consistently, reaches were whistled for fouls. In Ohio, teams are often referred to by the town or city they are located in followed by the school name. For example, Wayne High School is often referred to as “Huber Heights Wayne”. In many other states, Toledo Notre Dame (Ohio speak) would be referred to as “Notre Dame Academy in Toledo, Ohio”. The Ohio practice is much less common in many other states. Although I am not from Ohio, I prefer the way it is done in the Buckeye State! Africentric (Columbus, Ohio) comes first in the alphabet and on our list. Ranked nationally in three pre-season polls, Africentric starts a line-up of future NCAA Division 1 players (perhaps four of the Power 5 variety). They are tall, play up-tempo and are highly athletic. Assigned to Ohio’s Division 3 (second smallest class), the coaching staff has done what it can to play quality teams in contests they are not locked into (Its league has mostly schools of lesser talent for this year.). In beating Mount Notre Dame, they raced out to a big lead but down the stretch struggled to hold on (winning 60-55 after leading 34-19 at half). Handling the moments of slower pace might be what the Ohio Division 3 favorites may need to work on. Mason (Mason, Ohio) may be down a bit from last year but still has plenty of talent. The intensity and focus with which they play will make them a tough out come late February and March. Here they won two games defeating Liberty (Powell, Ohio) 67-58 and Rogers (Toledo, Ohio) 48-37. Mount Notre Dame (Cincinnati, Ohio) lost to Africentric but bounced back to convincingly beat Notre Dame Academy of Toledo 56-38. MND (as they are sometimes referred to) would rank second only to Africentric in talent displayed, also sporting a line-up of future NCAA Division 1 players, here being led by a freshman (see below)! Newark (Newark, Ohio) posted two quality wins at the event. On Friday, they beat previously undefeated Northwestern of Kokomo, Indiana, 63-41 and on Sunday beat Fairmont of Kettering, Ohio, 68-57. Newark appeared to be shooting the ball better than at last year’s Journey. Well known for its late game delay tactics, this year’s squad seemed a bit less patient to hold the ball opting at times to shoot a non-quality shot (but made them!). Pickerington Central (Pickerington, Ohio) is the defending Ohio Division 1 champion. 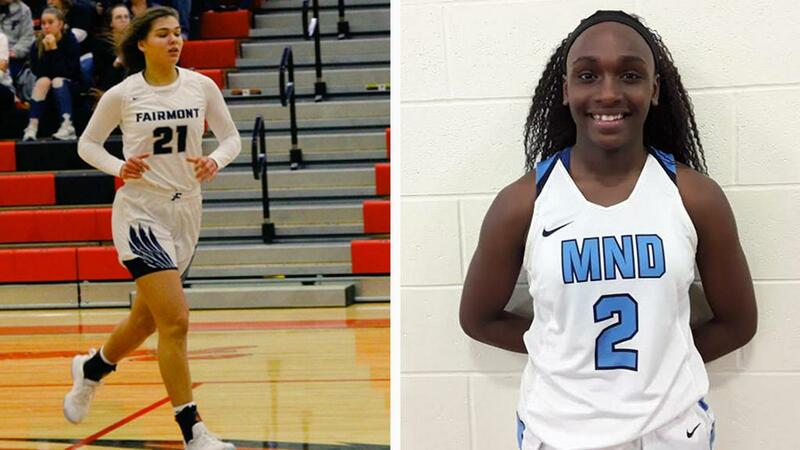 While they lost some key players to graduation, they return two Power 5 signees and several young players who in time may fully fill those gaps from graduation. The team generally travels more out-of-state than almost any Ohio (lot of talented stay-at-home clubs) team, not shying away from difficult opposition. Here they won what amounted to a tune-up game beating Springboro High School 78-42. More difficult challenges lie ahead. Wayne (Huber Heights, Ohio) was another highly talented team with what appeared to be at least four future Division 1 college players starting. On Saturday, they defeated a highly talented Westerville South team 66-51 and returned on Sunday to beat Gahanna Lincoln 49-33 in a game played with less intensity (knowing they were far more talented) shown by Wayne. Looking at some of the individual talent viewed in alphabetical order with height, position and school within graduation year. Many others could have been discussed. All are Division 1 prospects at some level. Location of school is in parenthesis. Committed to Penn State, Greene is an under control leader who can shoot the ball. Here she went 8/8 from the field for 21 points along with five assists. 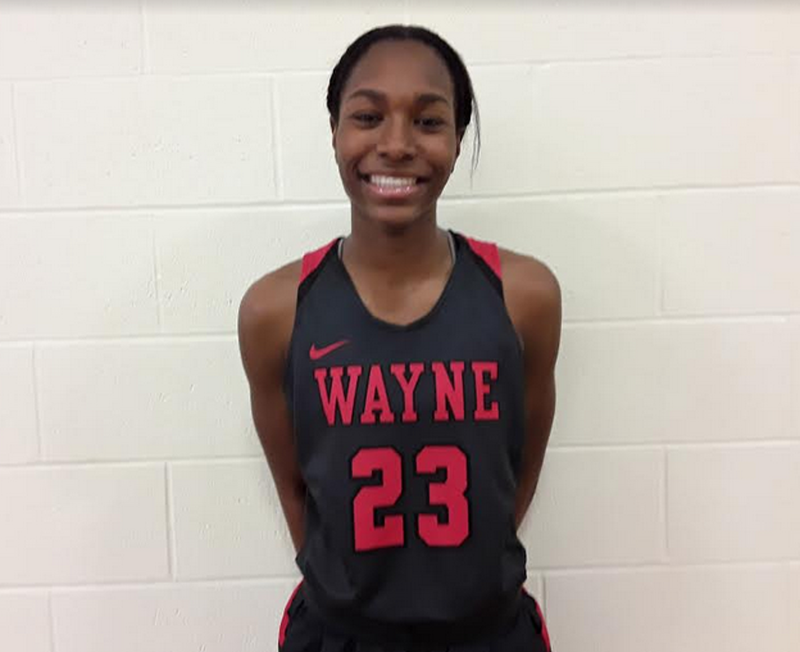 Committed to Ohio University, Guice looks to shoot and shot well (8/14; 22 points) from the field in spite of her team’s loss to Wayne. Committed to Tennessee, Horston is considered one of the top high school players in America. Yes, she can score but her ability to make her teammates better, rebound, defend and block shots negate any off shooting night as here finishing with 9 points and 11 rebounds. Committed to Seton Hall, Jackson is a quality athlete who can shoot the three (five hit here) and drive to the rim totaling 30 points in team’s lose to Loveland. Committed to Florida State, Puisis can hit the three but also has an ability to go into the paint to score. She posted 23 and 22 points in her team’s two wins at the event. Orally committed to Akron, Carter sets the tone for her team with constant high motor play. Posting 18 and 14 points in her teams two wins at the event, she hit some threes but often attacked to her strong left hand. Right handed, Dean loves to go left. 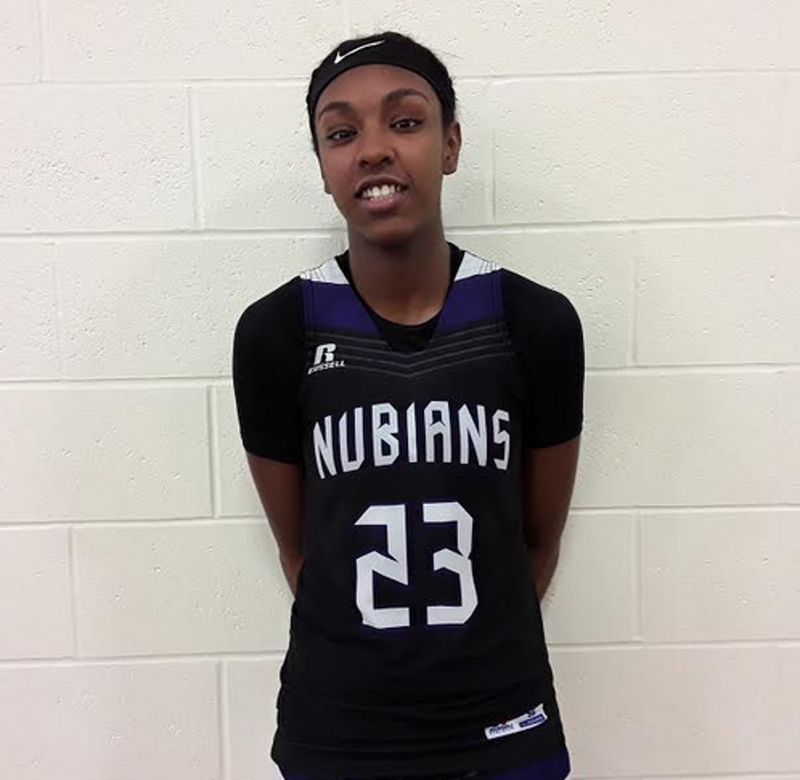 Orally committed to Virginia Tech, she posted 12 points and six boards in her team’s 61-53 win over defending Indiana 3A (second largest class) state champs Northwestern of Kokomo, Indiana. Orally committed to Bowling Green, Fleming is a field general first and scorer second. In scoring 18 points in her team’s 48-33 win over West Clermont High School, she hit two threes but mostly scored by attacking the basket going primarily right. 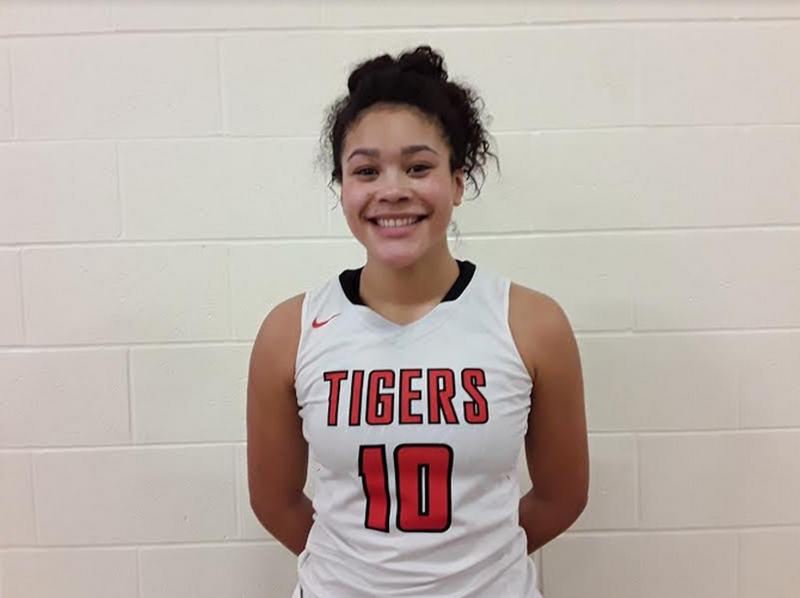 A Power 5 prospect, Hayes plays all over the court for her high school team. She helps bring the ball up the court but often then went into the key to score. She also hit some at mid-range in scoring 28 points with 15 rebounds in her team’s 59-50 win over Wilmington. Newark has a pretty balanced offense but Stare’s shooting at this event deserves recognition. Versus Northwestern she went 5/7 for 12 points and against Fairmont went 7/9 for 20 points. Both opponents represent quality opposition. A Power 5 prospect, Westbeld was one of the top stars of at the Journey. In winning 70-58 versus Solon, she posted 34 points on 15/17 from the field including 4/5 from behind the arc plus 10 rebounds. In losing to Newark 68-57, she posted 19 points on 7/18 from the field plus 10 rebounds. An adept perimeter shooter, Madeline says she is working to improve her low post game. A Power 5 prospect, Hall brings length and ‘ups’ to complement her perimeter stroke. 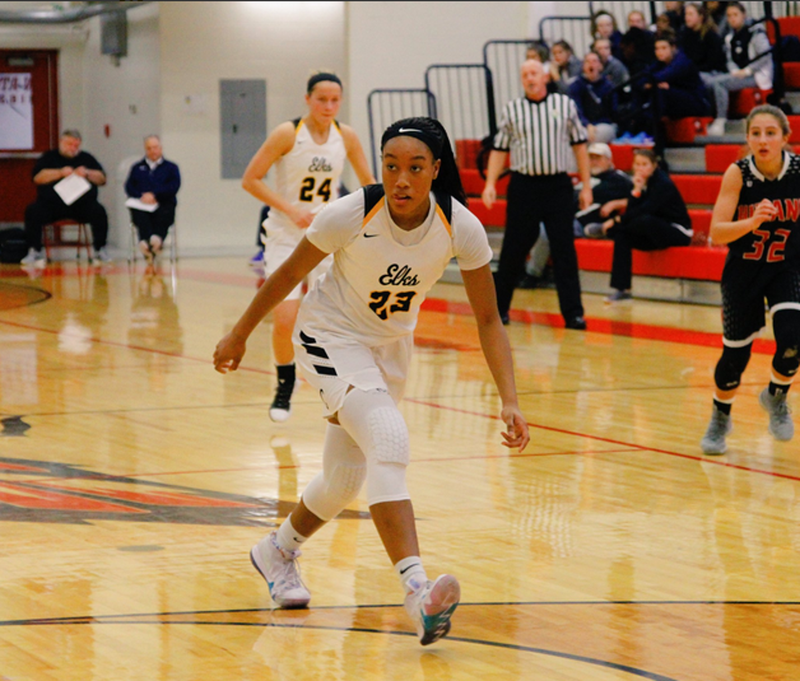 In the win versus Westerville South, she posted 14 points on 6/10 from the field plus five rebounds and three blocks. Sheppard looks to run the offense but can score attacking the basket, good at changing speeds. She can also keep the defense honest with the three-ball. In spite of needing to fill out a bit, Weaver was fearless in attacking the basket posting 17 points in the loss to Fairmont. She also hit two threes and collected 10 boards to complete a double double. A Power 5 prospect, Bransford was one of the top stars of the event and without question the best performing freshman for the three days. She continually attacks the basket either off the catch in the key or driving from the perimeter. In the loss to Africentric, she posted 29 points plus collected seven rebounds. In the win against Notre Dame Academy, she tallied 15 points and eight rebounds. Henson was impressive playing along the baseline and scoring in the key. She posted 11 points on 5/7 from the field with four steals in her team’s 49-30 loss to Minster. A Power 5 prospect, McMahon is a quality athlete who can attack the basket, hit the glass but also has some perimeter stroke and willingness to share the ball. At the event she posted 20 points on 9/16 from the field plus 12 boards in a 65-44 win over Berlin Hiland. A likely Power 5 prospect, Oldacre is just scratching the surface of her potential. With good size, she currently scores near the rim. A good shot blocker, her hands are both quick enough and strong enough to catch the ball after blocking the shot. VanSlooten has nice moves in the lower key but can also face up a mid-range. In her team’s loss to Mount Notre Dame, she posted 10 points and eight rebounds. Power 5 schools should be monitoring her maturation.